Updates for London have ended for the day but we'll be back at 08:00 on Monday with all the latest videos, news, sport, travel and weather. After a fine end to the day, it will turn chilly overnight with largely clear skies leading to some patchy fog and grass frost. Some cloud could filter in from the north by dawn, along with a strengthening breeze. Does the Bridge Theatre's opener deserve top Marx? Leading lights from the UK's theatrical community rallied round on Thursday to help launch London's latest playhouse. Jonathan Pryce, Sam Mendes, Sir Lenny Henry and Dame Penelope Wilton were all in the audience for the first night of Young Marx at the new Bridge Theatre. 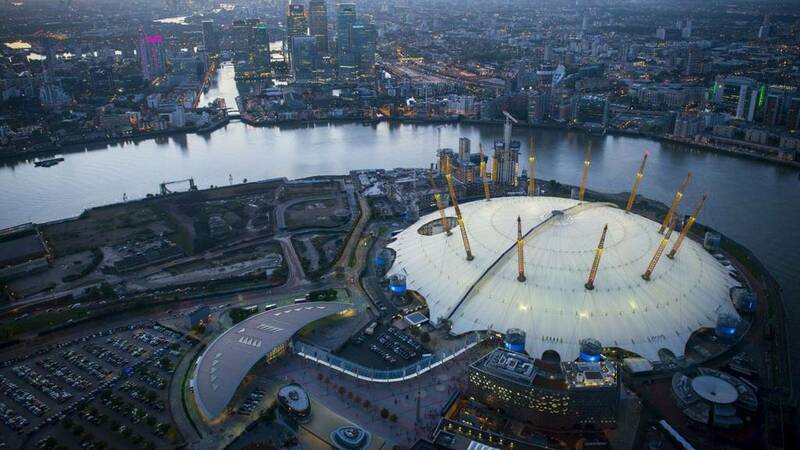 Richard Bean and Clive Coleman's play is the first to be staged at the 900-seat venue, next to Tower Bridge. The theatre is the brainchild of Nicholas Hytner and Nick Starr, the former bosses of the National Theatre. A jealous ex-boyfriend has been jailed for life for killing his first love in a frenzied knife attack after she moved on with a mutual friend. Polish labourer Grzegorz Kosiec, 23, had struggled to come to terms with the split before he stabbed Westminster University architecture student Karolina Chwiluk on the evening of 4 May. He picked up a kitchen knife and repeatedly stabbed the 20-year-old in Mile End, east London, as his flat mates desperately tried to intervene. At the Old Bailey, prosecutor Tom Kark said: "This was no doubt a frenzied and violent attack and she had no chance to defend herself." Kosiec had pleaded guilty to her murder and wounding Dawid Czerwiwski, 24, and Monika Fijak, 42. Transport for London (TfL) has warned the Bakerloo Line won't fully reopen in time for Monday morning's rush hour following weekend engineering work. The entire line will be closed tomorrow and on Sunday. On Monday the section through central London between Piccadilly Circus and Queen's Park isn't due to reopen until at least 10:00 with a very limited service on the rest of the line. A "dangerous" paranoid schizophrenic has been jailed for life for stabbing a university lecturer to death in a random attack. Mark Loveridge, 39, had been cared for in the community since 2015 even though he had a history of violence and drug abuse which made his mental health worse. He had stopped taking medication before he carried out unprovoked knife attacks on two young men as they made their way to work on 19 January 2016. Daniel Young, 30, died after being stabbed in the stomach in a park near Morden Tube station in south London. After his arrest, the defendant claimed he was being "framed" but eventually admitted his involvement once damning DNA evidence linked him to the crimes. He pleaded guilty to the manslaughter of Mr Young by diminished responsibility and to wounding the second victim, Kamil Bulat, with intent to cause him grievous bodily harm. Judge Mark Lucraft QC rejected a defence plea for a hospital order, saying Loveridge was a "dangerous" man and posed a "high risk" in the future. He handed Loveridge a life sentence with a minimum term of 15 years, which will be served in Broadmoor psychiatric hospital until he is well enough to be transferred to jail. The Met Police have released CCTV footage of a car deliberately ramming pedestrians outside a south London bar, leaving a man "unconscious" on the pavement. Several people were left injured after the vehicle mounted the pavement outside Mekan Restaurant, Catford, following an "altercation" on 16 September. Police said the vehicle made several more manoeuvres, deliberately targeting pedestrians before driving away. No serious injuries have been reported but the attack "could have had fatal consequences", police said. The husband of a woman missing for almost two weeks is travelling to London toy shop Hamleys where he hopes to be reunited with his wife. Jock Brown is urging 47-year-old Karen Brown from Clydebank to meet him at the Regent Street store, where there has been a possible sighting of her. He said the family are "extremely worried" about the new grandmother who left home in the early hours of Saturday 14 October. She was last seen by her husband and daughter Chloe on the Friday night when she returned from work at Asda in the West Dunbartonshire town. Singer Rita Ora will switch on Oxford Street's Christmas lights next month - saying "it means a lot to me". The "Switch On" event, on 7 November marks the start of the festive shopping season. X Factor stars Matt Terry and 5 After Midnight will perform live throughout the evening. Anywhere singer Ora, 26, said: "London is my home so switching on the Oxford Street lights means a lot to me. "I used to love coming to Oxford Street to see the Christmas lights when I was younger so this means even more to me." Get ready for Greenwich Mean Time! 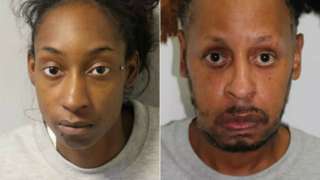 The couple won a challenge against their "manifestly excessive" prison sentences. The rest of the day will be mostly dry and sunny for London and with light winds it will feel pleasant. The majority of London businesses are in favour of a controversial proposal to introduce mandatory English language tests for taxi drivers, a poll shows. Transport for London (TfL) had wanted to introduce the written tests earlier this year, but its introduction is being delayed due to a legal challenge by app-based cab service Uber. A survey of more than 500 businesses in the capital carried out by ComRes now shows that 83% of respondents support the policy. The poll was commissioned by London Chamber of Commerce and Industry. 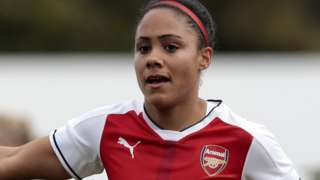 Arsenal Women defender Alex Scott says she will retire at the end of this season to concentrate on her broadcasting career. Morrissey has announced his first full UK tour since 2015. The live shows in February and March 2018 will follow the release of his new album Low In High School. The former Smiths frontman will play shows in Aberdeen, Glasgow, Newcastle, Leeds, Birmingham, Brighton and London's Royal Albert Hall and Alexandra Palace, as well as the 3Arena in Dublin. Tickets for the UK shows go on sale on 3 November at 10:00 with priority access from 1 November at 10:00. A 23-year-old Polish man is facing a life sentence later for stabbing his former girlfriend to death. Grzegorz Kosiec killed architecture student Karolina Chwiluk as she visited friends in Mile End, east London, on 4 May. The 20-year-old suffered multiple knife wounds at the hands of the labourer, who also attacked two other people. At an earlier hearing, Kosiec pleaded guilty to murder and wounding Dawid Czerwiwski, 24, and Monika Fijak, 42. The defendant, who is in custody, will be sentenced at the Old Bailey by Judge Mark Lucraft QC.